Gutter repairs may help, but ultimately you will have to say goodbye to your old gutters and invest in replacement gutters. 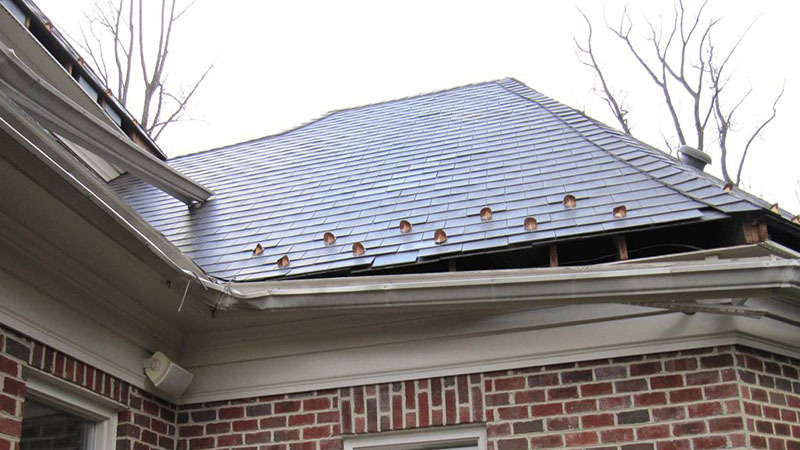 We at Boston Roofing and Gutters will evaluate and plan you gutter replacement project. 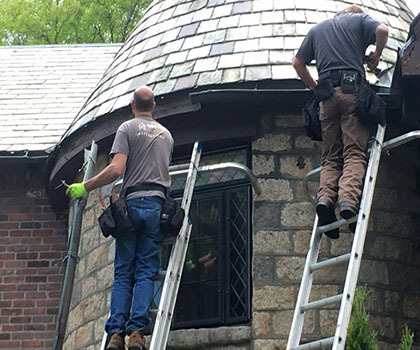 Gutter replacement, involves installing seamless rain gutters that will save you substantially over professionally installed gutters, but there are a few pitfalls that we watch out for. We inspect the fascia and soffit for signs of rotted wood, which will need to be replaced before we put up the rain gutters. Many houses have a trim board or crown molding nailed to the fascia just under the shingles. You’ll have to either consider removing this as we did or add a continuous strip of wood under it to create a flat plane for the gutters. Buy special roof hanger mounting straps for houses without fascia boards or for fascia’s that aren’t vertical.